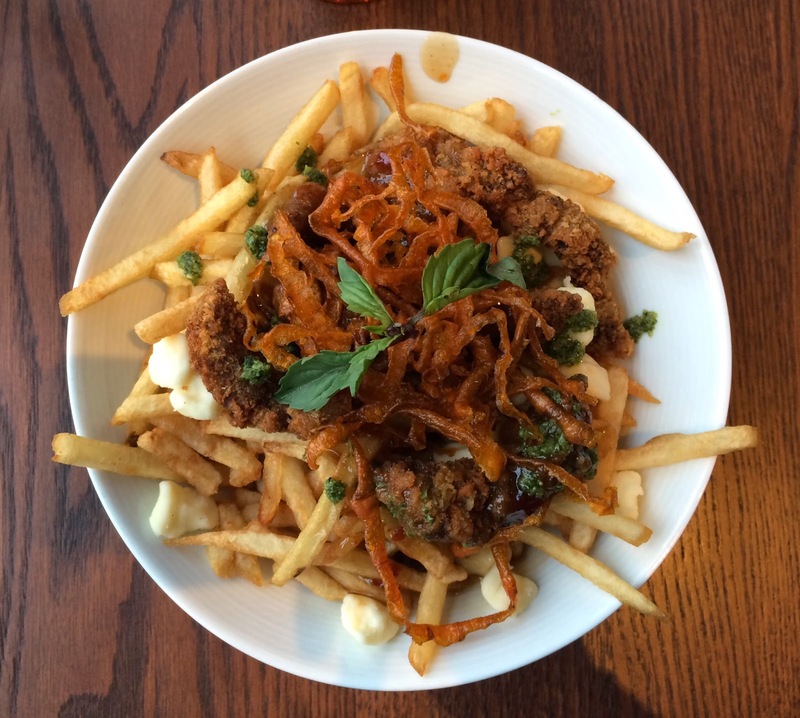 We went back to Sesame after 4 PM to try their Poutine Week's special poutine "Oranji." As I mentioned in a review of Poutine Tacos from Frite Alors!, the business hours shown on their Facebook and HP. And they used to open for lunch period on weekends, but it seems like they only open in the evening these days. We sat at a table at 4:13 PM, and somehow we're always seated at the same table or next one just by the window by coincidence. While there're some other customers, I didn't see anyone was eating Oranji, and I was hoping I could be the first customer to consume like last year, Shaolin Poutine. At 4:17 PM, we placed our orders and the dishes were brought in about 10 minutes. The Oranji looked very similar to the image used for the posters. 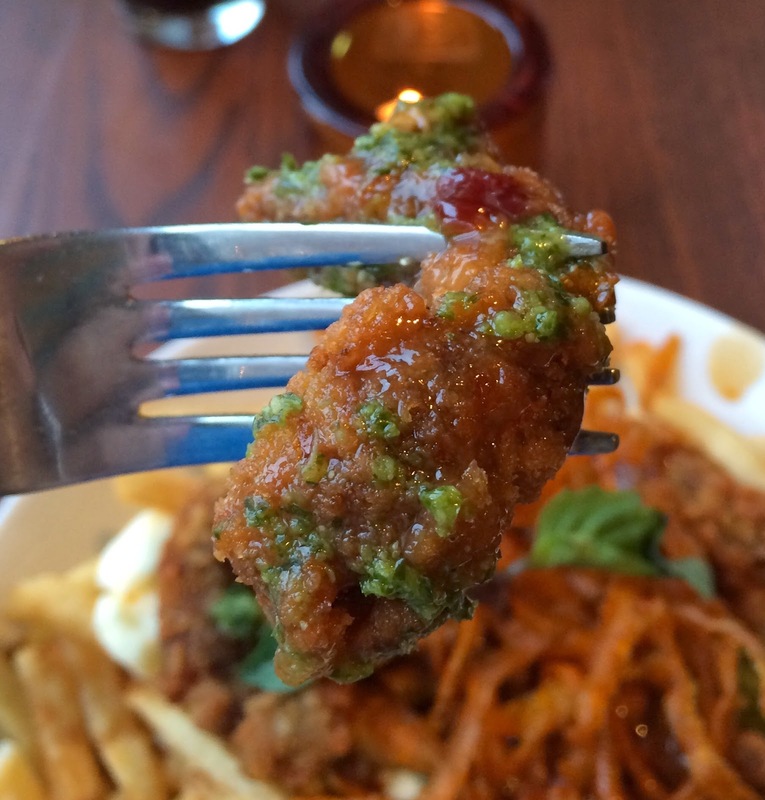 Oranji consists of panko breaded beef with orange sauce, carrot chips and Thai basil pesto. On the top, there're basil leaves. 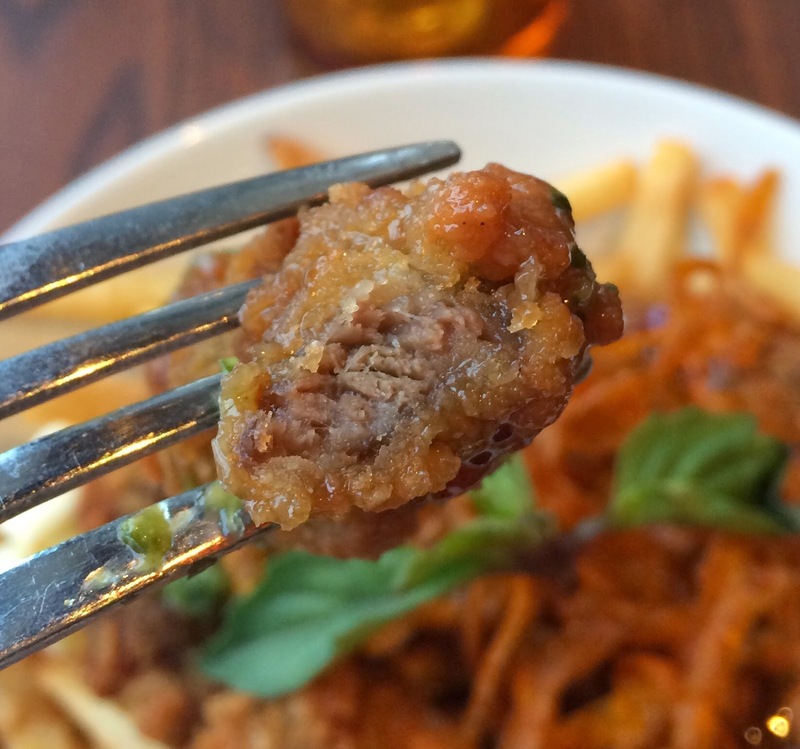 There're about 7 pieces of panko breaded beef (beef cutlet) and each absorbed refreshing and sour orange sauce which had some garlic flavor, too. Beef inside was lean and cooked to well-done but still soft enough to bite off. 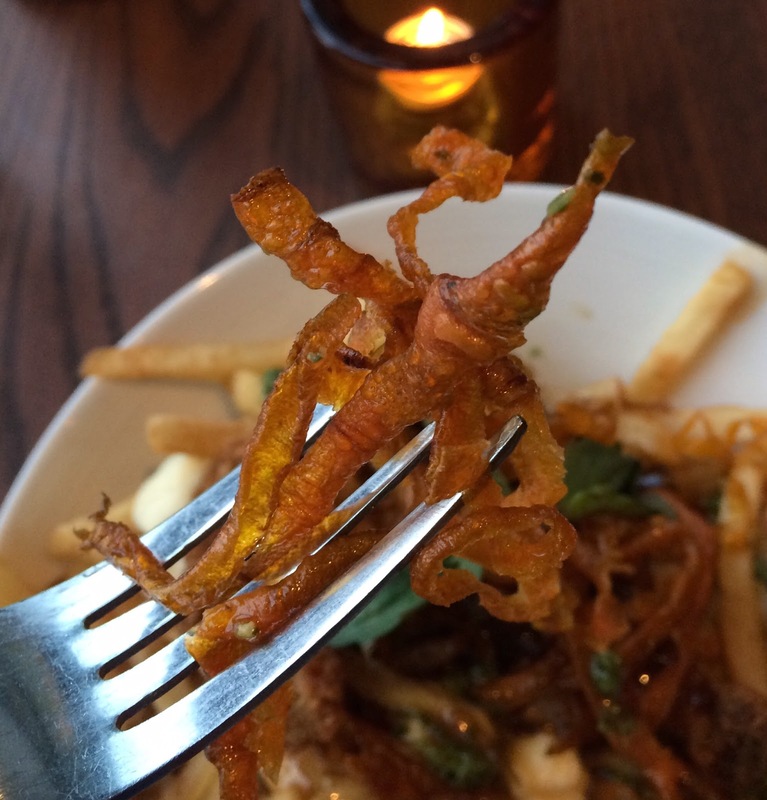 Carrot chips were skinny strings as if they had used a peeler, and they're fried crispy. 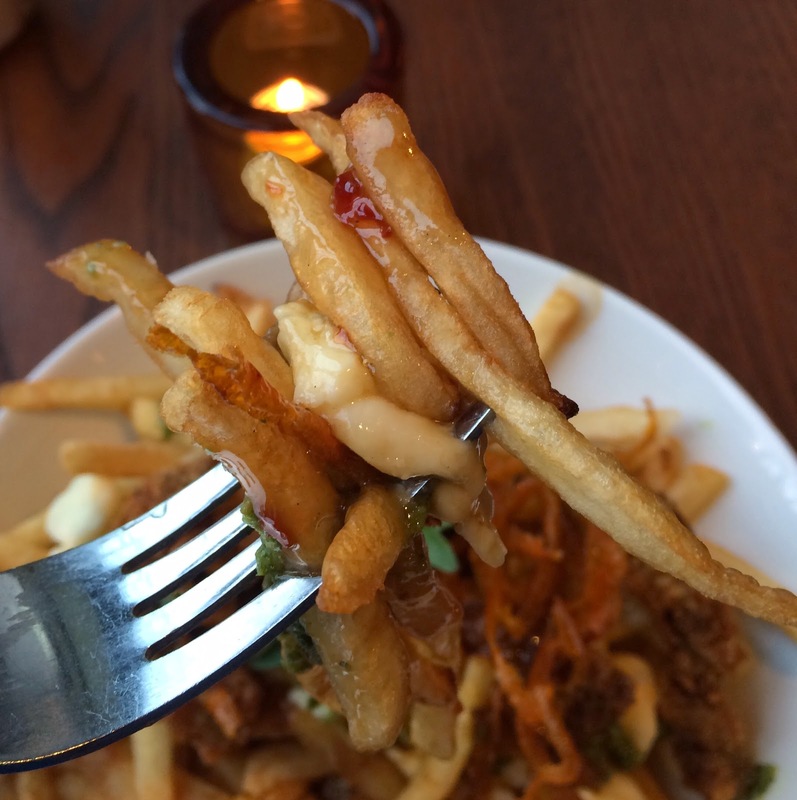 Fries were skinny and light color as always, and crispy outside. 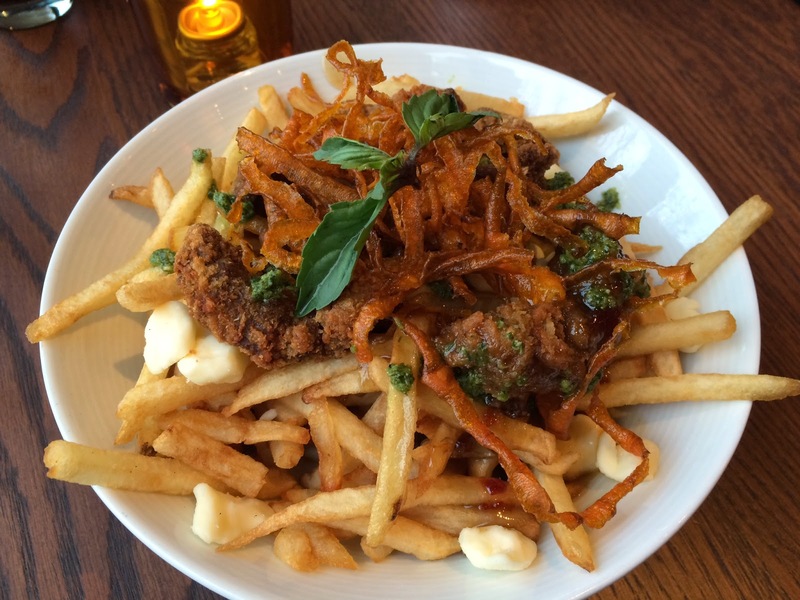 Large cheese curds were squeaky and small ones were melted by the heat of the fries and sauce. 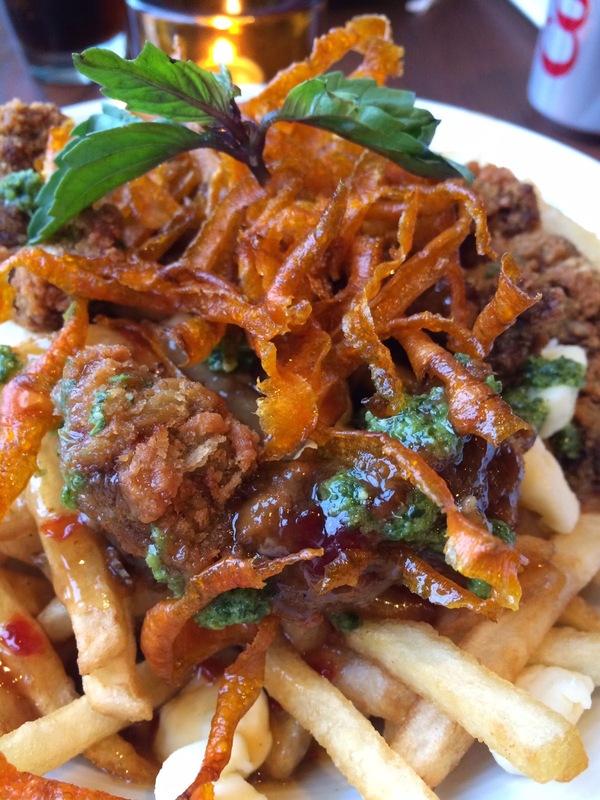 The sour and refreshing orange sauce made the fried items (fries and panko beef) less greasy. I liked this Oranji better than last year's Shaolin Poutine. According to a waitress, I was the first customer to try the Oranji and I told her that I was also the first customer to try the Shaolin last year. Then she said, "You're the first 2 years in a row!" and did high-touch. 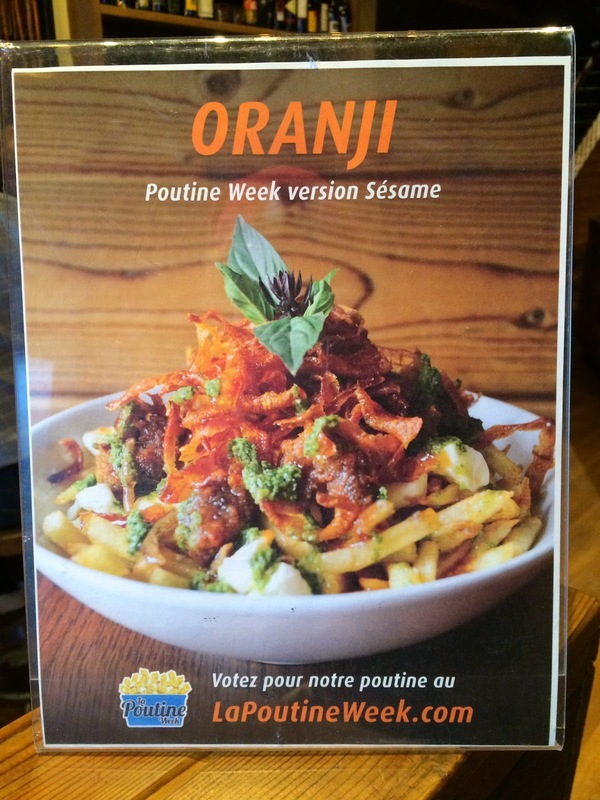 Apparently, all the Sesame restaurants submitted recipes for this Poutine Week to discuss, and the branch we went to won among 5 branches, and now all the Sesame is serving this Oranji during Poutine Week.